Palestinian premier Ismail Haneyya on Monday evening discussed with former US president Jimmy Carter over the phone the recent Palestinian reconciliation agreement between Hamas and Fatah factions. Premier Haneyya urged Carter to play a role in the success of the reconciliation agreement, and expressed his appreciation for his previous efforts to end the Palestinian division. 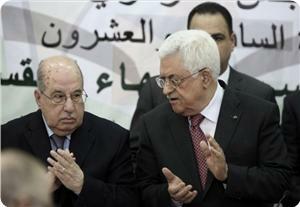 The premier also called for overseeing the upcoming Palestinian elections by Carter center. Ex-president Jimmy Carter, for his part, expressed his happiness for the Palestinian reconciliation and hailed Haneyya for his political initiative and courage. Carter pledged to make every effort to contribute to the success of the agreement and communicate with all concerned parties to support its execution. He also expressed his willingness to monitor any coming elections. Tunisian Ennahda Party hailed, during a statement on Monday, Hamas-Fatah unprecedented reconciliation project and called for a real execution of the terms of the agreement. It said that implementation of reconciliation would restore the unity of the Palestinians and promote the establishment of an independent Palestinian state having Jerusalem as its capital. During a meeting held in Tunis on Monday, Palestinian ambassador in Tunisia Salman Al-Harfi praised leader of Ennahda party Sheikh Rashed Ghannoushi’s efforts to uphold the Palestinian reconciliation project. 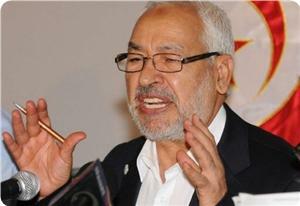 For his part, Ghannoushi confirmed Tunisia’s uncompromising rejection of normalization with Israel. “This is a common denominator between all Tunisians,” Ghannoushi maintains in a statement issued by his office on Monday. According to Abu Marzouk, the projected unity government is not exclusive to any single person or party, not even (PA president) Mahmoud Abbas himself, as has always been agreed upon during the reconciliation meetings with Fatah. “The division chapter has to be turned once and for all. No threats or pressures shall ever cast us down,” Abu Marzouk maintains. 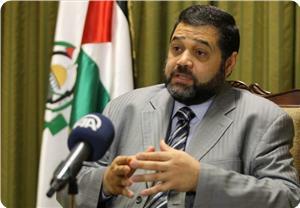 Abu Marzuk attributed the failure of previous reconciliation agreements to the Israeli-American pressure. It is high time such encumbrances were brushed off by every means available. As for the abortive previous community reconciliation attempts, Abu Marzouk thinks that the financial factor is what has really added fuel to fire. “The situation has been exacerbated by the 500 cases of blood money that should be paid, as well as the injuries and material damage that should be compensated." As stated by Abu Marzouk the Palestinian Legislative Council will also have a vital role in smoothing the progress of the reconciliation project, boosting the confidence of the consensus parties, and assisting the next presidential elections scheduled to be held six months after the formation of the consensus government. Hamas leader closed his speech by urging the Egyptian authorities to re-open the Rafah crossing with no further delay especially after the expected formation of the national unity government and the presence of PA security forces along the border. For his part, Hamas leader Dr. Salah Bardwil applauded Egypt’s decision to allow Abu Marzouk’s access into the Gaza Strip via the Rafah crossing so as to partake in reconciliation talks held last week with a PLO delegation. “This is a living proof of the historically profound bonds between Egypt and Palestine despite the ceaseless smear campaigns and ad hominem media conspiracies waged against Gaza and Hamas”, Bardwil confirms in a statement to Quds Press. “We will take advantage of every single bit of our joint geo-political factors to turn the equation in our favor and tie up our historically fraternal bonds,” Bardwil further maintains. 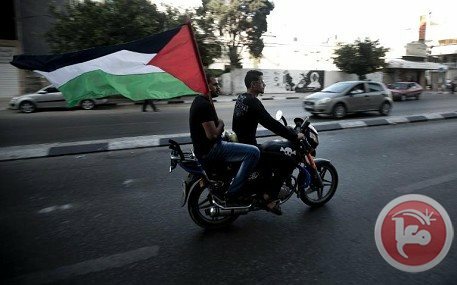 Representatives of the Popular Front for the Liberation of Palestine on Sunday evening withdrew from the closing session of the PLO Central Council in protest against the two-day meeting's final statement. PFLP officials said a news conference would be held in front of the Palestinian presidential compound in Ramallah to explain its stance. PFLP representative to the Central Council meetings Khalida Jarrar said the group’s delegation withdrew because the final statement included a decision to resume peace negotiations with Israel under certain conditions. 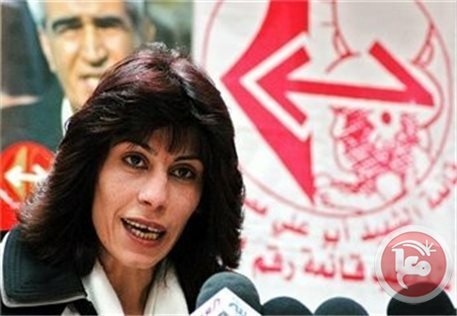 Speaking to Ma’an, Jarrar highlighted that the PFLP had called upon the Palestinian leadership to completely stop negotiations and security coordination with Israel. Israel froze peace talks with the Palestinians last week after President Mahmoud Abbas signed a reconciliation deal with Hamas. The talks were already on hold after Israel's refusal to release a final batch of Palestinian prisoners and Israeli anger over Abbas' decision to seek membership in international organizations. The obscene lies, hyperbolic exaggerations, and corrupt analogies Israeli Prime Minister Binyamin Netanyahu has been indulging in lately caricature a manifestly morbid and pathologically dishonest character. Honest people don't need to lie and don't see the need for lying. Instead, they see serenity, security and mental comfort in telling the truth. This is not the case with people like Netanyahu. He knows that for Israel, an artificial country based on mendacity, terror, land theft and ethnic cleansing, lying (and for that matter lying big) is the ultimate refuge. But truth will continue to chase Zionists for eternity, even if the New York Times and Washington Post continue to regurgitate Zionist lies and sing Zionist hymns. On Sunday, Netanyahu renewed his attack on the new Palestinian unity agreement between Fatah and Hamas by drawing explicitly corrupt comparisons between Hamas and the Nazis. 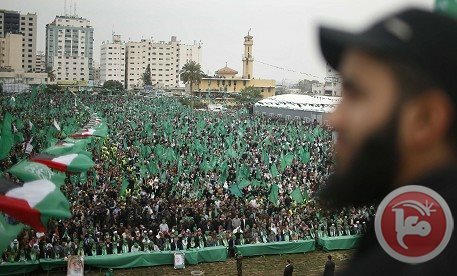 "Hamas is trying to start another Holocaust, "the prime minister told his cabinet at the start of its weekly meeting Sunday. He called on PA leader Mahmoud Abbas to keep the rift with Hamas intact, saying, “we hope that he will withdraw from the alliance and return to the path of peace." It is probably unwise to dignify Netanyahu's lies by commenting on them. However for the benefit of many people, especially in Western countries who have been constant recipients and consumers of Jewish- Zionist lies for many decades, I feel it is imperative to expose the liar and his lies. Hamas, which the Israeli premier says is trying to wage another holocaust, is nearly hermetically locked in the Gaza Strip, blockaded from land, sea and air. 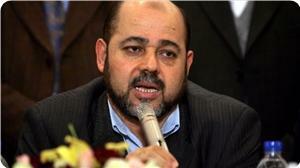 Hamas can hardly provide sufficient food and water to keep 1.5 million Gazans alive. Indeed, was it not for foreign aid coming through UNRWA and from some friendly countries such as Turkey and Qatar, life itself in Gaza will become precarious, and I am not speaking metaphorically. Yes, Hamas and other Palestinian militias do have a few hundred militiamen tasked with maintaining security. Sometimes, these militias, using antiquated and nearly innocuous weapons, attempt to defend their people against the Wehrmacht-like Israeli army which doesn't hesitate even for one second to murder women and children knowingly and deliberately. Otherwise, these small groups in no way pose a real-let alone strategic- threat to Israel, a country that possesses hundreds of nuclear weapons, one of the best air-forces in the world, and an army notorious for its barbarianism and savagery. And above all of this, it has the United States at her beck and call as all or most American politicians, especially at the national federal level, are transformed into political whores in the service of the Zionist enterprise. Hence, comparing Hamas with the Third Reich is no less than committing an act of fornication or adultery with truth, even with language. It is the ultimate insult to people's intelligence. The truth, however, is that in case there is a state under the sun that can be compared to Nazi Germany, it is Israel, pure and simple. Ideologically, Israel and Nazi Germany are like Tweedledum &Tweedledee. The German Nazis viewed non-Aryans as mere "Untermenschen (sub-humans). However, the sages of Judaism shamelessly claim that non-Jews are animals and beasts of burden walking on two feet. Just remember the statements made by the late Ovadia Yosef, the spiritual leader of the Haredi party, Shas, a few years ago. Yosef shamelessly claimed a few years ago that non-Jews were nothing but donkeys created by God for no reason other than serving the master race, the Jews. Indeed, like the German Nazis who viewed themselves as "the Master Race," many Zionist Jews view themselves as "the Chosen People." Some Jewish sects, such as Chabad, even advocate the murder of non-Jews in order to extricate a lung or a kidney or other organs for transplant if the Jew needed one. I am not making a "blood libel" or intending to malign Jews. But the truth speaks for itself and the worldwide web is congested with indicting proofs if one is genuinely concerned for truth. Moreover, like the Nazis, Israel has been following a militaristic, bellicose, aggressive and expansionistic policy toward its neighbors. Nazi Germany adopted the policy of Lebensraum (living space) whereby the Third Reich sought to annex territories of neighboring countries especially in the East. Similarly, Israel has been establishing Jewish colonies, settled with Nazi-like Jewish settlers, in the West Bank. And as Nazi Germany claimed the seized territories belonged to Germany, Israel now claims that the occupied Palestinian territories are not occupied but rather "disputed" territories! The truth is that the similarities between Nazi Germany and Israel exceed by far the differences. And the reason this truth has been absent from the western mind is more or less attributed to the successful Jewish-Zionist colonization of the western mind, especially since the end of the Second World War. Just read the Zionist Connection by the great late Jewish writer Alfred Lilienthal. But now, in light of the communication revolution, the Jewish-Zionist grip on the western mind is getting somewhat loose. Hence, it is probably safe to say that the Israeli hasbara is living on borrowed time. Finally, honest Jews ought to be reminded that Netanyahu and his likes are effectively dishonoring and abusing the memories of the holocaust survivors when the pathological liars compare the victims of nefarious Zionism with Nazism. These victims didn't die so that Jews would be able to oppress and torment another people, effectively emulating the Nazis. In the final analysis, Nazism destroyed Europe and killed or caused the death of some 60 million people. The Palestinians, on the other hand, are struggling to exit the Jewish slaughter house. Khalid Amayreh is a Palestinian journalist living in occupied Palestine. He lost three innocent uncles to Israeli terror shortly after Israel's creation. However, his family is yet to receive an apology and/or compensation from Israel. The first European conference in support of Palestinian prisoners held in Berlin called in its final statement on Monday for internationalizing Palestinian prisoners' issue and for exposing Israeli serious violations against them. 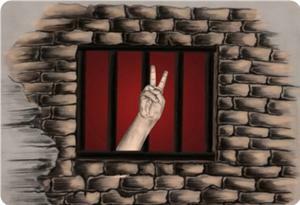 The two-day conference came in the promotion of the international solidarity year with the Palestinian people declared earlier this year by the UN and to mark the Palestinian Prisoner Day. The conference was organized under the auspices of the PLO Department of Expatriate Affairs, and the Palestinian Embassy in Germany. The conference called for forming a European-Palestinian legal committee to follow up Palestinian prisoners' issue at international courts in order to prosecute Israeli political and military officials who committed crimes against the prisoners. The conference further called on the Palestinian Authority to join international organizations, particularly the International Court of Justice and the International Criminal Court to be able to prosecute Israel for committing crimes against the Palestinian people, and called for supporting Palestinian prisoners and detainees by all possible means. The central council of the Palestine liberation organization (PLO) called on Palestinian Authority (PA) president Mahmoud Abbas to accelerate the execution of the reconciliation agreement and the formation of a national unity government. The PLO's central council condemned the ferocious campaign being waged by the Israeli government against the Palestinian reconciliation agreement. It said that Israel's opposition of the reconciliation agreement reflected its wager on the Palestinian division as a means to undermine the establishment of the Palestinian state. This came in the closing statement that was issued by the PLO's central council in its 26th session that was held over two days at the PA headquarters in Ramallah city. In another context, the PA security apparatuses continued to arrest and interrogate Hamas supporters and members in different West Bank areas despite the reconciliation agreement that was signed between Fatah and Hamas four days ago. In Tulkarem, the PA intelligence agency on Saturday arrested ex-detainee Alaa Kharyoush after summoning him for interrogation. He is the brother of Mohamed Kharyoush, who has been in a PA jail for about one and a half month. The PA intelligence forces also raided on the same day the house of ex-detainee Hamada Addik from Kafr Addik town in Salfit, but they failed to arrest him. The PA preventive security apparatus, in turn, summoned 27-year-old Taha Shaladeh for interrogation next Tuesday. In Jenin, the PA security forces attacked Palestinian citizens celebrating the departure of a wounded young man from a hospital. The young man, Mahmoud Abu Kamel, had suffered bullet injuries during a PA security campaign a month ago in Jenin refugee camp. The Palestinian president Mahmud Abass Said Sunday that although he expects to face a difficult political and financial months, he will form a unity government with Hamas and hold a general elections, explaining that he will begin to form the new government in days. The PLO central council discussed in a close- door session the controversy issues for two days , which include dissolving the Palestinian authority , replacing it with the name of State, peace negotiations with Israeli, elections, security cooperation with Israel , and the national reconciliation. The central council members backed Mahmud Abass decisions regarding the national reconciliation, elections and peace negations, while the issues of dissolving the Palestinian national authority , announcing the Palestinian state, and stopping the security cooperation with Israel were postponed under Abbas request. The members discussed the political and legal impacts of replacing the Palestinian national authority with the Palestinian state under occupation. Abbas said to the members that they could face a political and financial difficulties in the coming months as a result of signing the reconciliation pact with Hamas. He put stopping Israeli illegal settlements projects, releasing the fourth patch and demarcating the borders as conditions to reset on the peace negotiation table, blaming Israel for the failing of the negotiations. 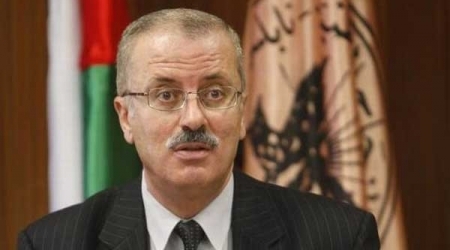 The Ramallah-based Palestinian government of Prime Minister Rami Hamdallah offered its resignation to President Mahmoud Abbas on Friday, two days after rival factions Hamas and Fatah reached a reconciliation deal under which a national unity government will be formed within weeks. 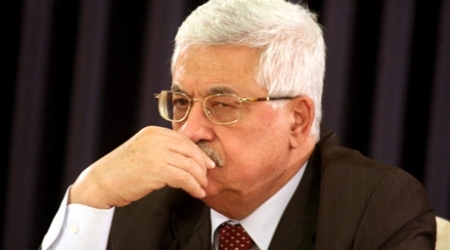 "Out of a desire to complete the reconciliation process, I place my and my government's resignation in your Excellency's hands whenever you wish," read a letter from the premier to Abbas, cited by the official Wafa news agency. On Thursday, the Palestine Liberation Organization (PLO) said that the Palestinian governments in Gaza and Ramallah – thanks to Wednesday's reconciliation deal – had become mere "caretaker governments." The PLO added that all Palestinian factions had agreed that Abbas should serve as president of a Palestinian national unity government. 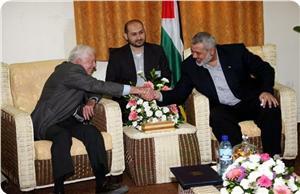 On Wednesday, Hamas and Fatah signed an agreement aimed at ending years of division between them. The deal, welcomed by most Arab states, calls for the formation of a national unity government to pave the way for presidential and parliamentary polls. Relations between Fatah and Hamas have remained tense since the latter seized control of the Gaza Strip following deadly clashes with pro-Fatah forces in 2007 – one year after Hamas defeated Fatah in Palestinian legislative polls. 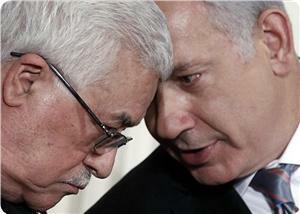 In Tel Aviv, however, news of the Palestinian reconciliation agreement received a cold reception. Commenting on the deal, Israeli Prime Minister Benjamin Netanyahu said Wednesday that Abbas, who heads Fatah, had to choose between reconciliation with Hamas – which Israel calls a "terrorist organization" – and peace with the self-proclaimed Jewish state. Hamas has never run for presidential elections before and boycotted the 2005 presidential run won by current PA Chairman Mahmoud Abbas. Meanwhile, Hamdan vowed that Hamas still maintains its unconditional and unyielding commitment to what has been agreed upon with Fatah in the Shati Declaration and will always live up to the scheduled deadlines. The Palestine Liberation Organization's central council on Sunday adopted a plan to pursue attempts to join 60 United Nations bodies and international agreements. The council, under the auspices of president Mahmoud Abbas, "affirms the need for the Palestinian leadership to continue membership of UN agencies and international conventions", the Palestine People's Party secretary general Bassam al-Salhi said in a statement. The council also said Israel was to blame for failed international and US efforts to find a negotiated settlement to the Middle East conflict. Israeli Prime Minister Benjamin Netanyahu suspended faltering peace talks last week after the PLO and Hamas agreed to work together to form a unity government, in an historic move to end years of bitter political rivalry. The struggling peace talks took a nose dive at the end of March when Israel reneged on a pledge to release two dozen Palestinian prisoners. Last November the Palestinians cast a UN General Assembly vote for the first time and claimed the moment as a new step in their quest for full recognition by the global body. Most of the 193 members of the General Assembly applauded Palestinian ambassador Riyad Mansour as he voted for a judge on the International Criminal Tribunal for the Former Yugoslavia. The Palestinians became observer state members of the United Nations a year earlier with an overwhelming vote in favor. The Palestinian mission cannot vote on UN resolutions but, under UN rules, it and other observers such as the Vatican can vote in elections for judges on international courts. Israel maintains its position that the Palestinian Authority is not a state and the Palestinian Authority fails to meet the criteria for statehood. Israel and the United States have lobbied strongly against UN recognition of the Palestinians, arguing that a separate state can only be achieved through direct bilateral negotiations to end the decades old Israeli-Palestinian conflict. But the Palestinians have also joined UNESCO, the UN cultural agency, and voted there. Israel and the United States withdrew funding from UNESCO because it allowed Palestinian membership and subsequently lost their voting rights on the body. Early this month Abbas signed membership applications for 15 UN agencies and international treaties, beginning with the Fourth Geneva Convention, which defines humanitarian protections for civilians in a war zone. "This is not a move against America, or any other party -- it is our right, and we agreed to suspend it for nine months," he said at the time.